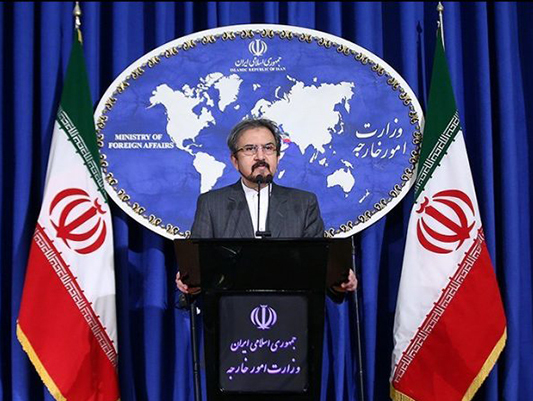 Iran’s Foreign Ministry spokesman has rejected the recent allegations made by some German media against Tehran regarding the arrest of a person who they claimed was spying for Iran. Bahram Qassemi dismissed the claim that an Afghan-German national has been apprehended on charges of spying for Iran, rejecting that the alleged person has had any connection with the Islamic Republic of Iran. “We are not surprised to hear such news amid baseless accusations fabricated by those who seek to ruin Iran-Europe relations at this important and sensitive juncture,” said Qassemi. “We have said it time and again that there are some people who are opposed to the age-old relations between Iran and many European countries, especially the European parties to the JCPOA, people who spare no effort to press charges and make allegations in order to strain these ties,” Qassemi added.